GSW Final Wrap Up Report. The 7th edition of the Island Water World Grenada Sailing 2019 hosted from 27 Jan – 1 Feb out of both Camper & Nicholson’s Port Louis Marina in St Georges and Secret Harbour Marina in Mount Hartman Bay saw spectacular sailing conditions throughout the week long event. Skippers on 43 boats registered from 14 countries, bringing together 400 skippers, crew and volunteers from the USA, UK, Canada, France, Switzerland, Luxembourg, Trinidad, Barbados, Antigua, St Lucia, Martinique, British Virgin Island and including 10 boats from Grenada, to race in four different classes – Racer, Racer/Cruiser, Classics and J24’s. “The Caribbean circuit is unlike any other racing circuit in the world. Sailors from all over the world come to experience new cultures, taste the amazing food, and make new connections”, says Hillary Noble crew of Touch2Play Racing. This year saw the first Youth Sailing Team join the J24 Class. 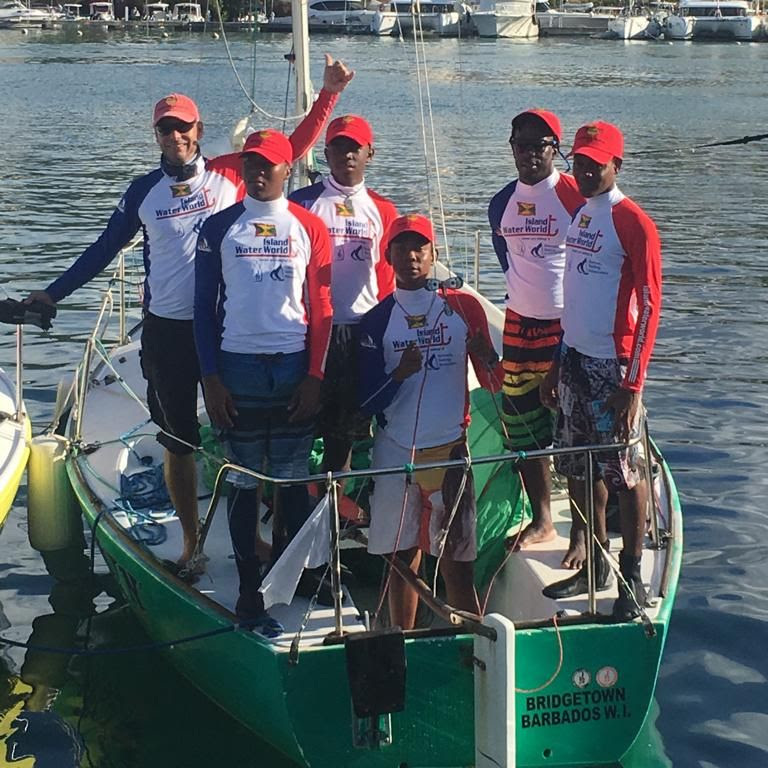 The Grenada Sailing Association National Youth Sailing Team is a new team made up of 16 to 20 year olds with Optimist and Laser experience from sailing clubs around the island (Gouyave Sailing Club and Woburn Wind Warriors). This is a huge step to progress into J24’s, helping to bridge the gap between dinghy and keel boat sailing. This program is supported by Grenada Sailing Association and the Caribbean Sailing Association. The team is coached by Robbie Yearwood and his crew of Team ‘Diehard’ another J24 owner, and also coached and skippered by Kevin Banfield, the GSA Olympic & World Sailing trained coach. Despite the gruelling races each day, Kevin Banfield said “the opportunity to sail on a keel boat was a great experience for the youths. It’s helped them learn to communicate with each other, to work as a team and build their confidence.” The GSA Youth team hopes to continue to do more J24 sailing throughout the year. On Sunday 27 January the Skippers Briefing followed by the Welcome Party showcased local music by Mystikk, kicked off the event at Camper & Nicholson’s Port Louis Marina. The first days racing, sponsored by the Grenada Tourism Authority, was on the west coast, protected from the easterly trades but often with fluky and shifting winds calling for strategic racing. Despite the protected coast participants still saw F5 out on the water, making for an exciting days racing. The fleet enjoyed yet more idyllic conditions on Tuesdays Race Day sponsored by Secret Harbour Marina. After the first race, the fleet moved from the west coast with a nice long romp from Grand Anse Beach to the more challenging south coast with the transition race. That evening after the daily prize giving racers danced the night away at the Pirate party with more local music by Apollo. The lay day let participants catch their breath with many taking the opportunity to tour the island. Others chose to take part in Hobie Cat racing. Later that day a fantastic dock party with live music was laid on by the team of the classic Yawl Galatea to celebrate her 120th birthday. And there was a great turn out for the showing of the award winning film Vanishing Sails – the story of saving the tradition of boat building on the small Caribbean island of Carriacou. Thursdays Race Day sponsored by Seahawk Paints saw a close start with a good breeze of 14-17kts but thankfully no OCS. The coastal windward and leeward courses had racers flying up and down in near perfect conditions. The breeze was good, the racing was good and a lot of fun was had out on the water. The final race day sponsored by Mount Gay Rum once again saw spectacular conditions out on the water. The balmy early morning calm fortunately gave way to a good breeze as the trade winds kicked in. Competitors made their way to the start line with everything still to race for. In Racing Class, Grenadian Jason Fletcher’s Caribbean 33 – Nickatime managed to hold on to first place overall despite being beaten by Claude Granel from Martinique aboard his Class 40 – Credit Mutuel (1st), Pamela Baldwin from Antigua with Liquid (2nd) and Canadian Rob Butler’s – Touch2Play Racing (3rd) in Fridays racing. Jason Fletcher owner of the boatyard Grenada Marine was thrilled to win first place overall, saying of the event “it was the all round awesome regatta we have come to expect and look forward to”. In Racer/Cruiser Class Peter Morris’ Jaguar from Trinidad continued to dominate with an impressive run of first places, taking top spot in every race on the final day and winning first in class overall. Peter has been competing in the regatta since 2005 with this being his 14th event and not missing a single one. The classics Galatea from Grenada and Mah Jong from the USA battled it out with the closest racing, with Galatea winning overall by just 1.75 points making it a victory for Judd Tinius for the third year in a row. Fredrick Sweeney’s Attitude from St Lucia, Robbie Yearwood’s Die Hard from Grenada and Stephen Bushe’s Hawkeye from Trinidad lead the way in the J24 class. But it was Attitude with 10 wins out of 18 that took the final honours. The final nights prize giving and the Mount Gay Wrap Up party was held at the upper restaurant of Secret Harbour Marina overlooking stunning Mount Hartman Bay. A raffle held during the event for the GSA Youth Sailing Team raised almost US$1000. The Organising Committee wants to thank: Island Water World, Secret Harbour Marina, Camper & Nicholsons Port Louis Marina, the Grenada Tourism Authority, Mount Gay Rum, Sea Hawk Paints & Dream Yacht Charters, as well as all the supporting sponsors, volunteers and everyone involved. 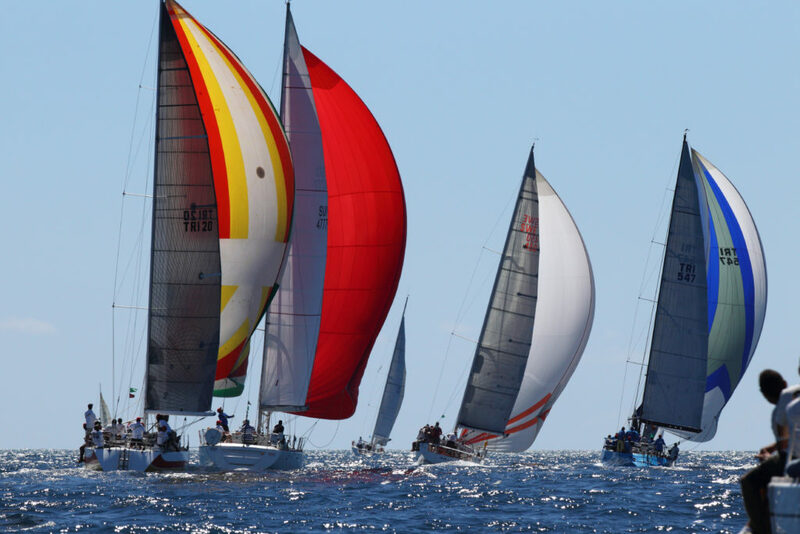 The dates set for the 8th edition of Island Water World Grenada Sailing Week run from Sunday 26 January – Friday 31 January 2020.